La Casa Del Habano St. Kitts is very conveniently located at the bustling port of Port Zante in St. Kitts. Our lounge is located right outside the cruise ship terminal at the port. Offering the widest selection of Authentic Cuban Cigars, the best Mojitos and our comfortable and cool air conditioned lounge, be sure not to miss us! We are located at the very entrance of the Cruise Shup Terminal at Port Zante, right above Kay’s Fine Jewelers. If you are on a cruise ship, look right as you come through, left going back on. 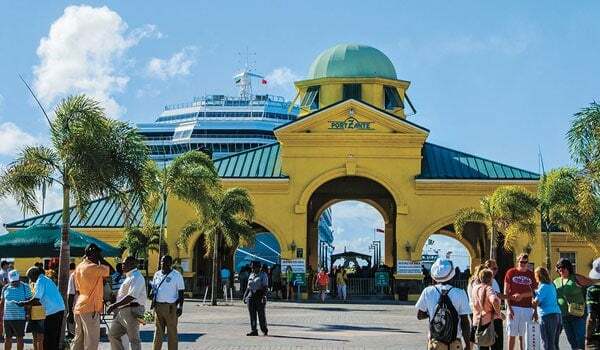 Port Zante is a bustling shopping, dining and entertainment marina in the heart of Basseterre, the captial of St. Kitts-Nevis. There are shops of all kinds, from souvenir to exquisite jewelry, duty free liquor and more. Dining options abound as well as number of “watering holes”. We await your arrival at our lounge where you may simply purchase the finest Cuban Cigars or, hopefully, take some time, leisurely browse our walk-in humidor and enjoy a relaxing cigar in our beautifully appointed, air-conditioned lounge.